We want to invite you to TestingStage'19 on March 29-30 at the Mercure Congress Centre in Kyiv, Ukraine. The conference for professionals in testing. We invite everyone who is interested in test automation, performance, security, embedded, game testing, and test management. 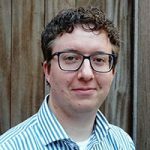 Frank Faber, DASA Ambassador is presenting 'Test Engineer to DevOps Engineer' at the TestingStage'19 at 11.00 on 30 March 2019. There is a wall of confusion in IT; Development and Operations have different goals for the same software. Test engineers face many problems, because of this confusion. What exactly is DevOps and how is it going to change the role of a test engineer? In his presentation, Frank will talk how he able to make the transition to a DevOps engineer and Test engineers can help shift the mindset of development, operations and end-users or customers by having a strong focus on higher quality.